Did you know that Petai has 4 times more protein, 5 times more vitamin A and iron than an apple? 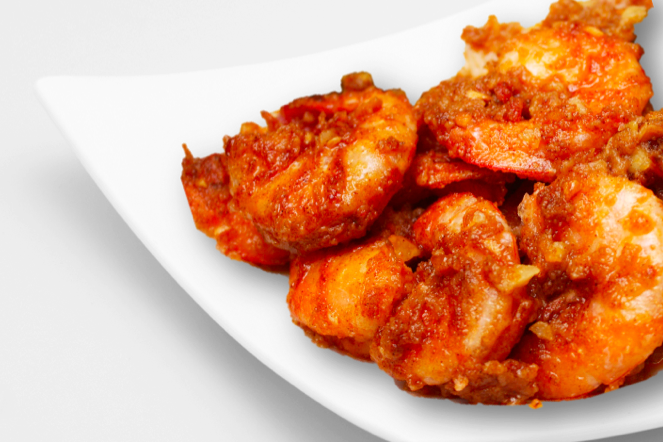 And if you are a lover of spice, you will definitely love our Sambal Petai with Prawns. Prepare the tamarind water by mixing the tamarind pulp with water and strain. Blend the sambal belachan ingredients to a smooth consistency. Heat the oil in a hot pan and fry the prawns until half cooked. Add the sambal belachan and petai beans; and stir fry for 1 minute. Add the tamarind water, salt, and sugar; cook until the prawns are cooked through. Garnish with sliced red chili, fried garlic, and shallots.